Defective Grapes and Jurisdiction: British Columbia or Ontario? 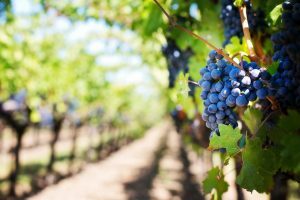 Defective Grapes and Jurisdiction: BC or Ontario? In Andrew Peller Ltd. v. Mori Essex Nurseries Inc., 2017 BCSC 203, a BC Wine company sued an Ontario grape company alleging that they had been sold defective grape vines. As the issue was proceeding to trial, the Ontario based companies applied to court in British Columbia to transfer the proceedings to Ontario as the more appropriate court on the basis of forum non conveniens. In other words, they asserted that Ontario was the more appropriate place to have the action heard. However, in some cases a party can take steps in litigation and are deemed to have “attorned” or accepted the Court’s jurisdiction. The issue in this application was whether the defendants could still argue that Ontario was the more appropriate place to have the action heard after attorning to the BC Court’s jurisdiction. (2) Whether or not a party referred to in subrule (1) applies or makes an allegation under that subrule, the party may apply to court for a stay of the proceeding on the ground that the court ought to decline to exercise jurisdiction over that party in respect of the claim made against that party in the proceeding. The Ontario grape growers argued that Supreme Court Civil rule 21-8(2) allows a party to request that the Court stay proceedings on the basis of forum non conveniens, even if they had attorned. To complicate matters more are the conflicting case authorities on this point. In Liu v. Huang, 2008 BCSC 288, despite the defendant attorning to the BC court’s jurisdiction, the court still went on to consider the factors under s.11 of the CJPTA and in the end declined to exercise jurisdiction. In Saskatchewan, a similar conclusion was reached in Ackerman v. Saskatchewan Association of Health Organizations, 2007 SKQB 146. While Mr. Justice Holmes acknowledged the conflicting lines of case authority, in the end he was bound by the reasoning of the court of appeal in Blazek v. Blazek, 2010 BCCA 188 which affirmed the view that the CJPTA and the Rules of Court as they stand bar any forum non convenience challenges after one has attorned. Mr. Justice Holmes still went on to consider the factors as to whether the court should decline to take jurisdiction and found that the Ontario grape companies had not established that Ontario is the more appropriate forum. Until the BC Court of Appeal reconsiders this position, the law in BC is clear; once you attorn, you can’t argue forum non conveniens.